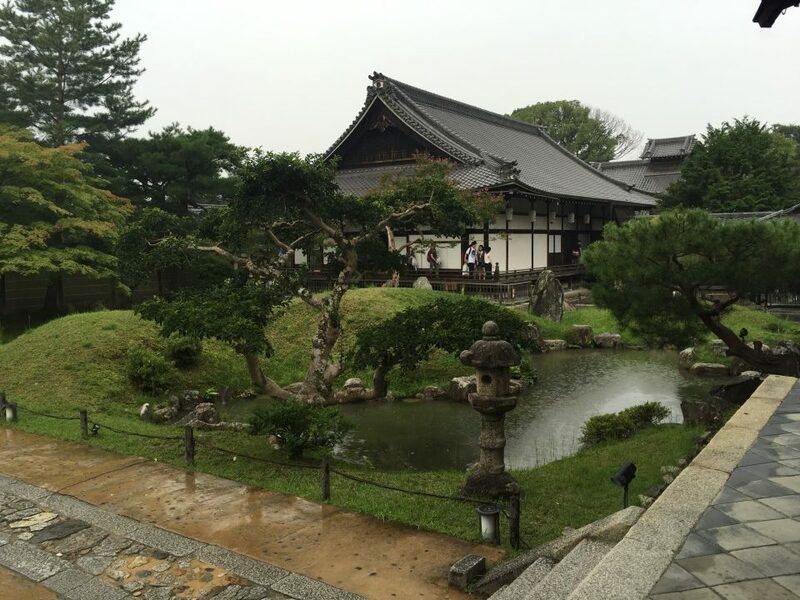 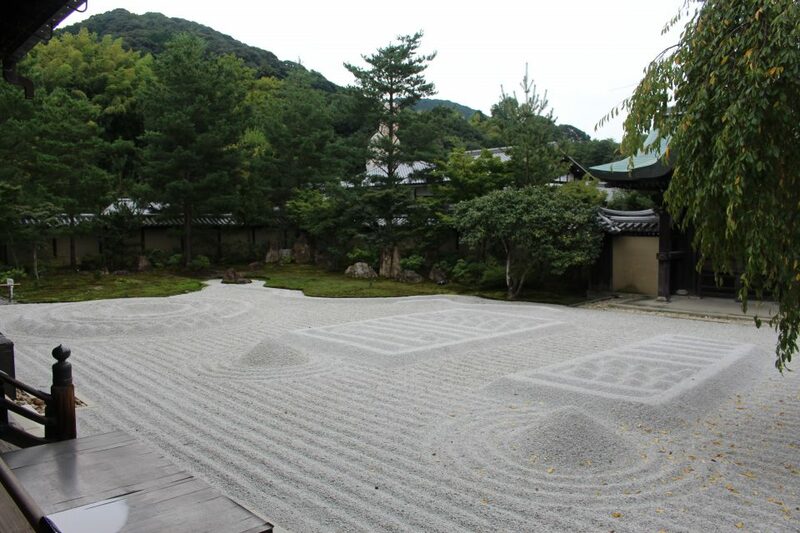 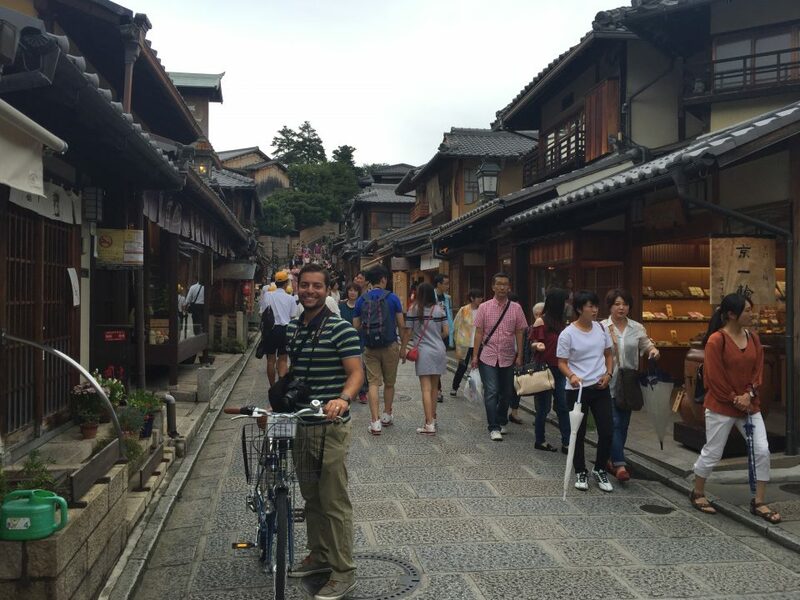 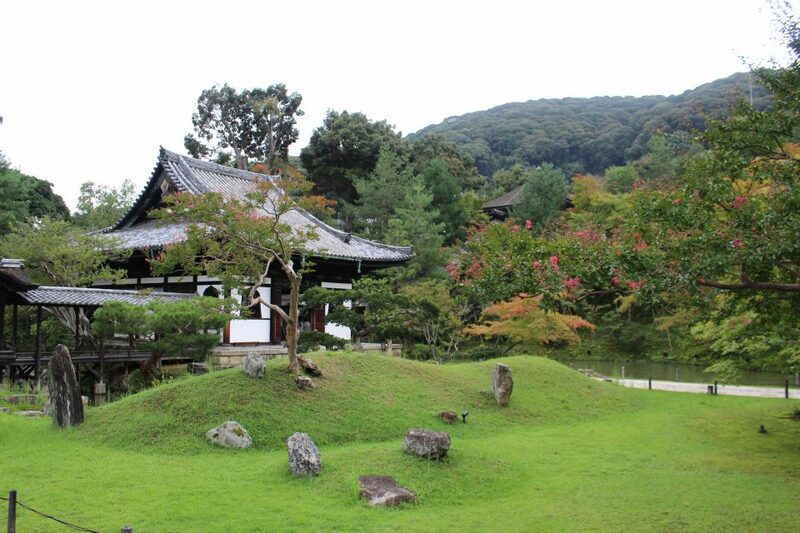 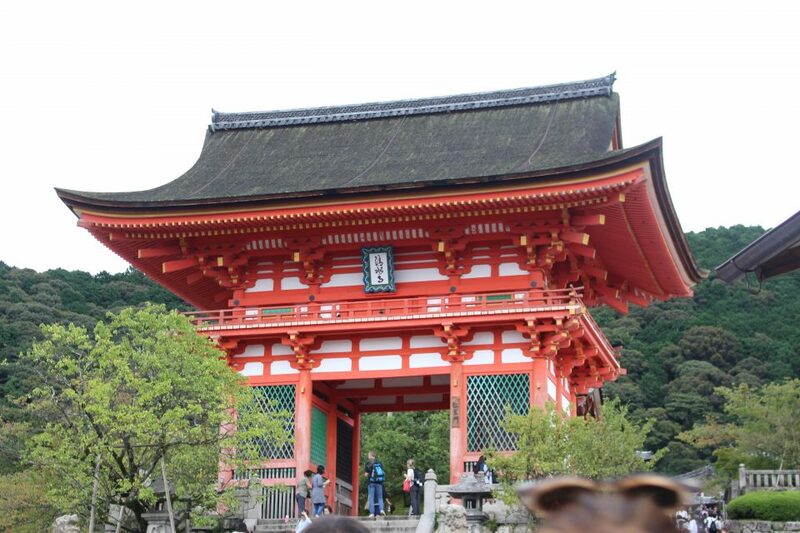 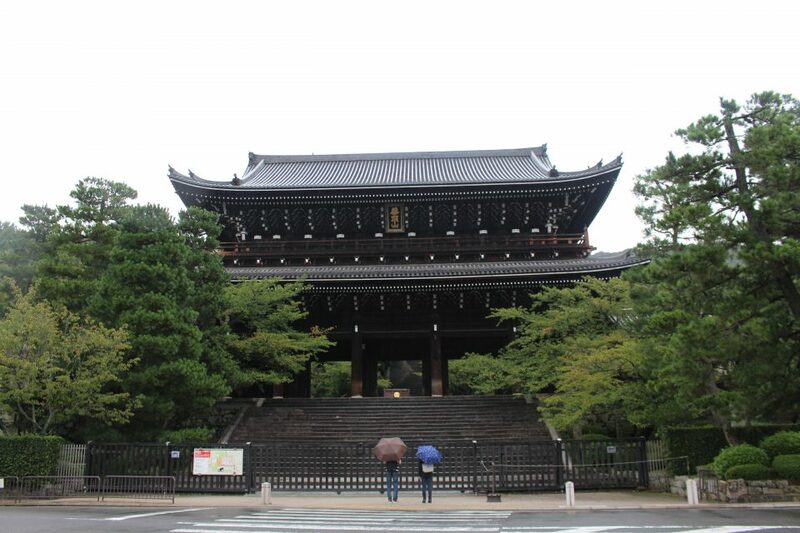 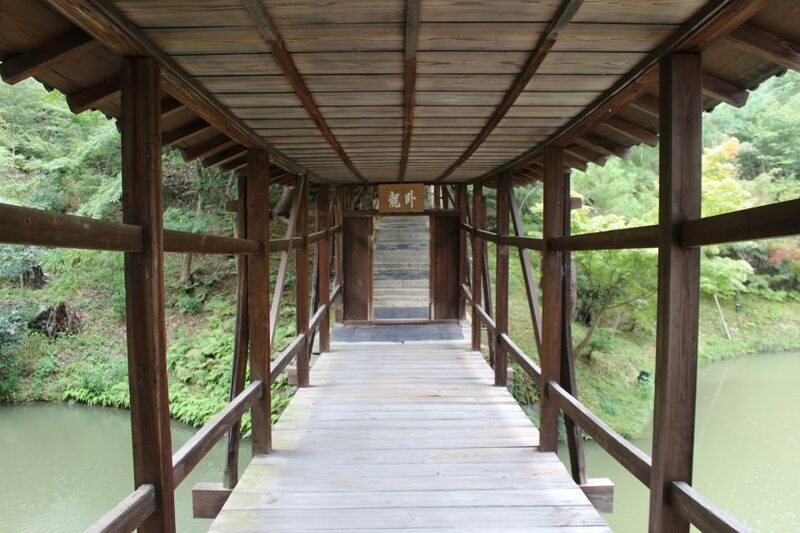 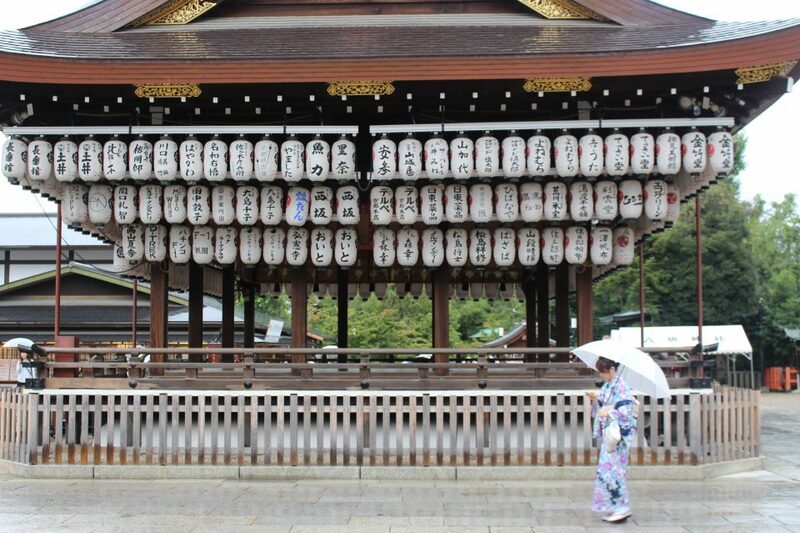 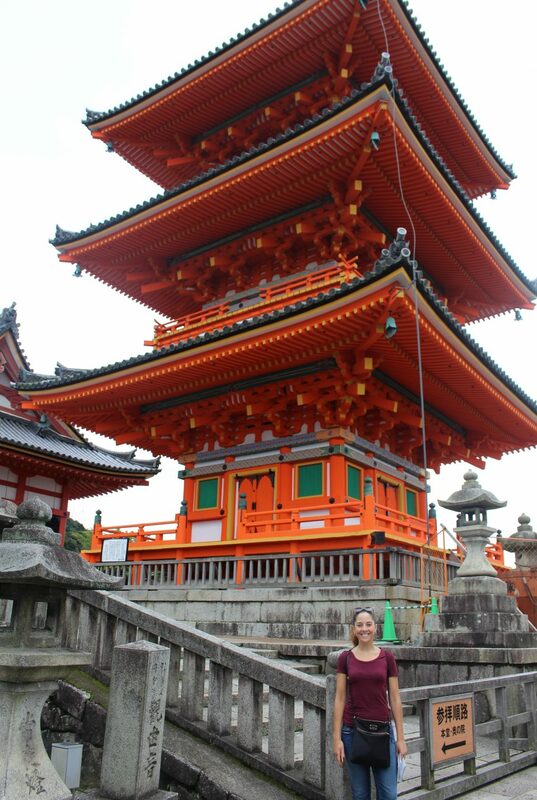 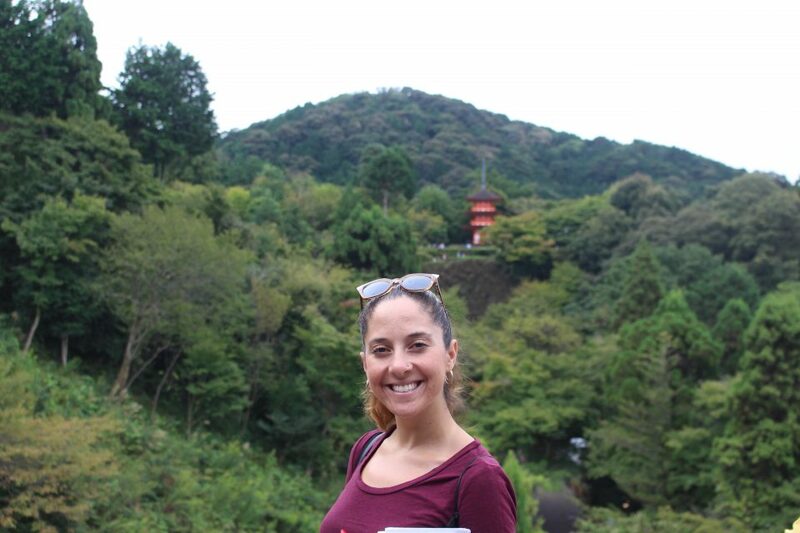 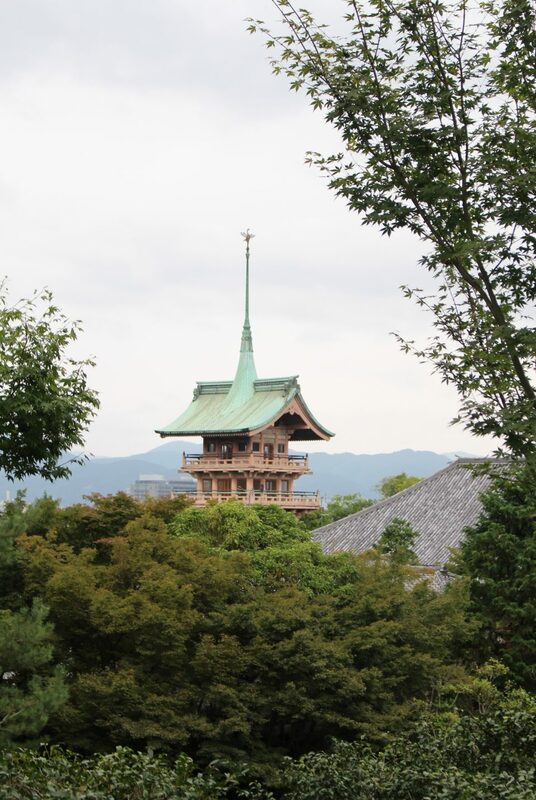 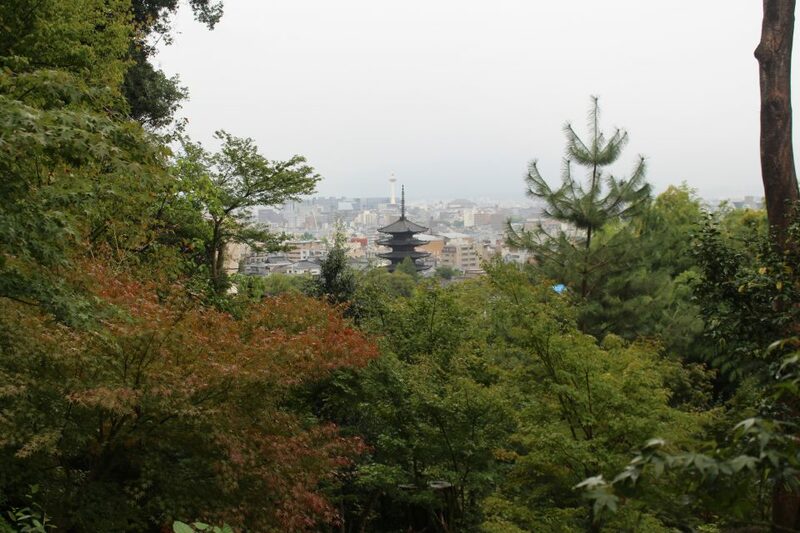 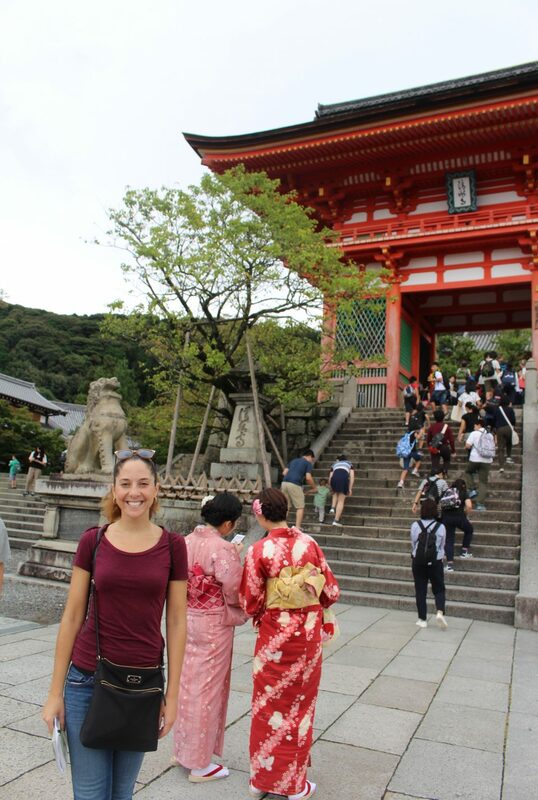 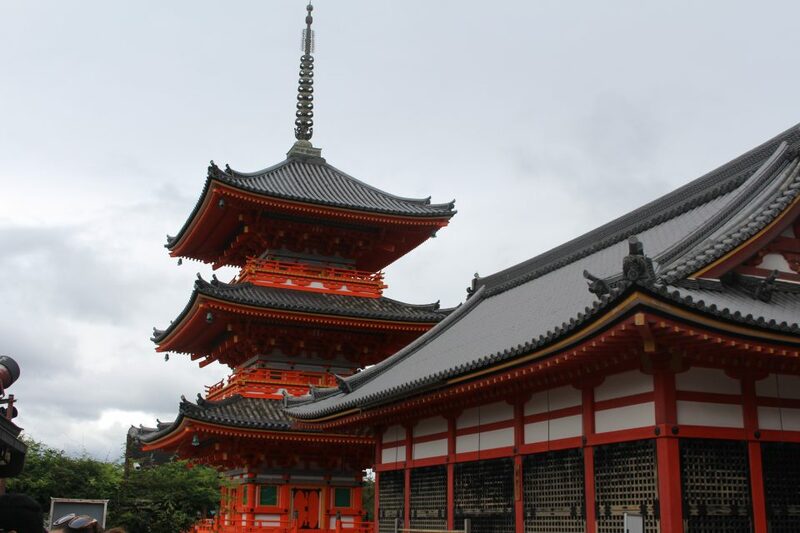 Southern Hidagishiyama is just a few minutes’ walk (or bike) from downtown Kyoto and can completely transport you into more natural and spiritual settings, through a plethora of Buddhist temples and contemplative walking paths. 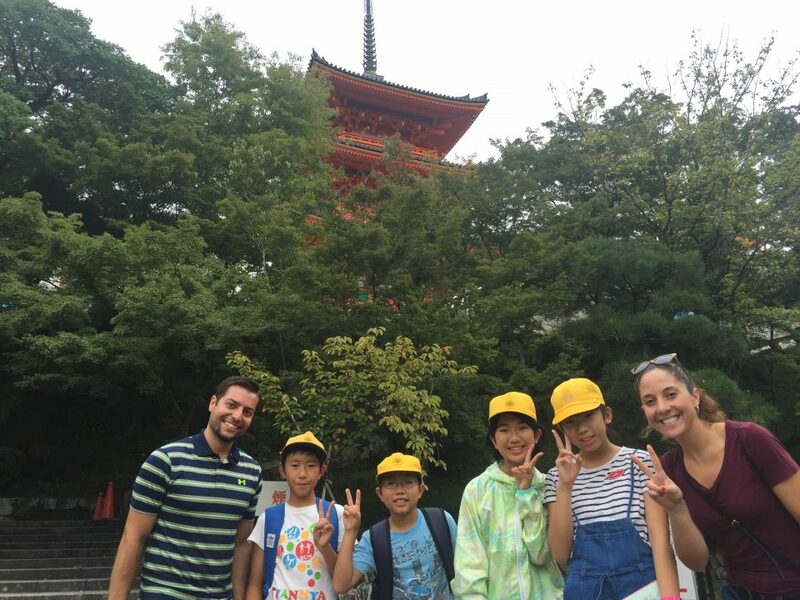 We made friends with a few six-graders who were practicing their English! 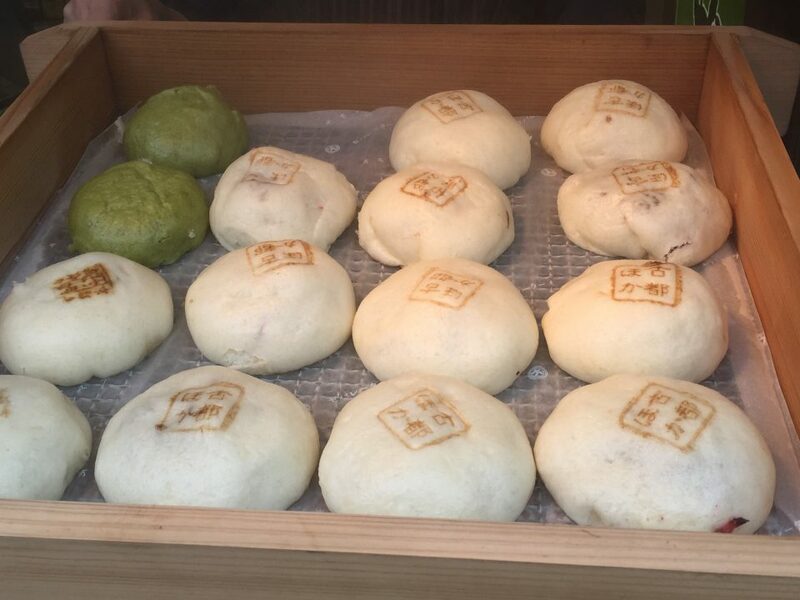 And tried tasty treats of the many vendors near this area. 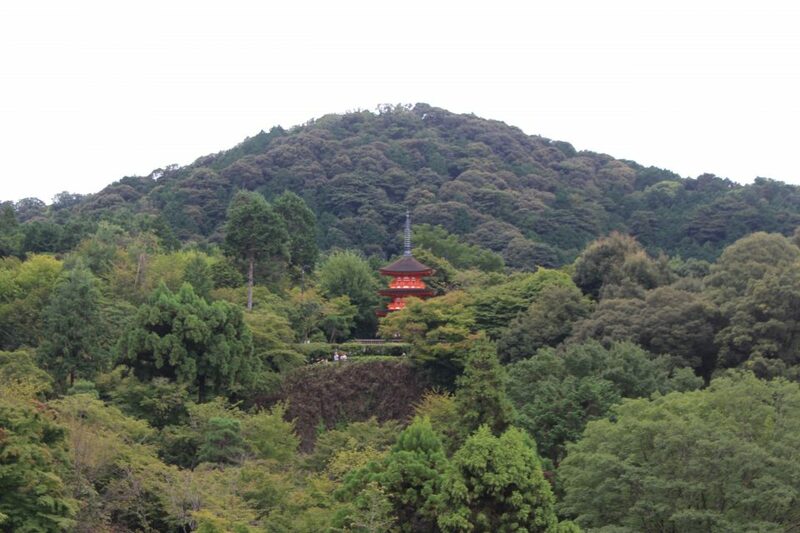 Just a few minutes up the road, you can change scenery yet again. 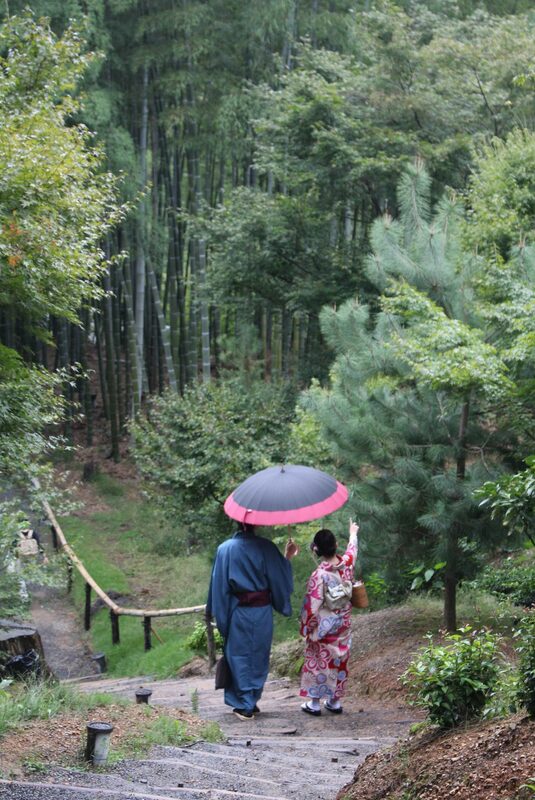 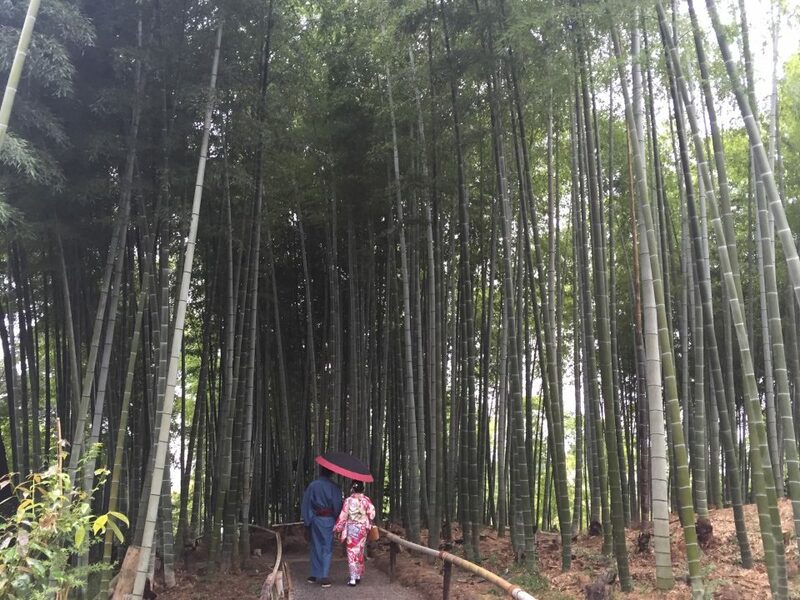 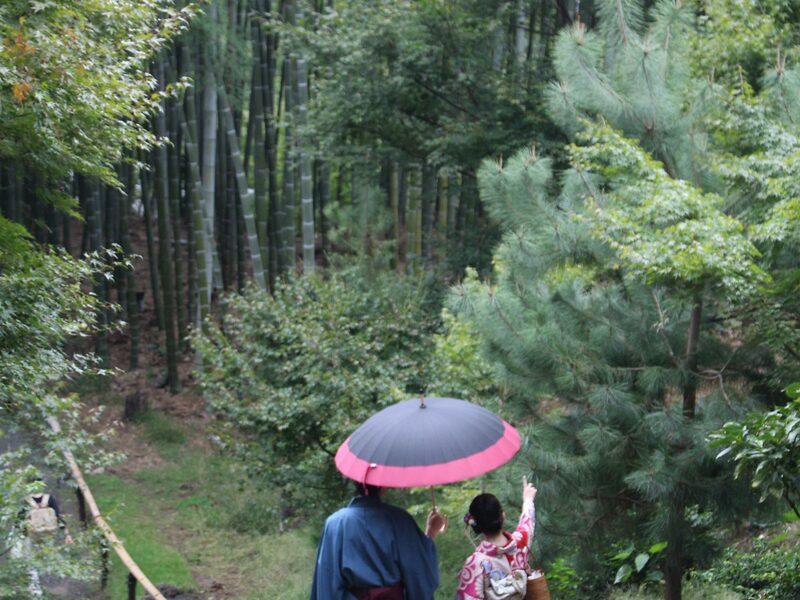 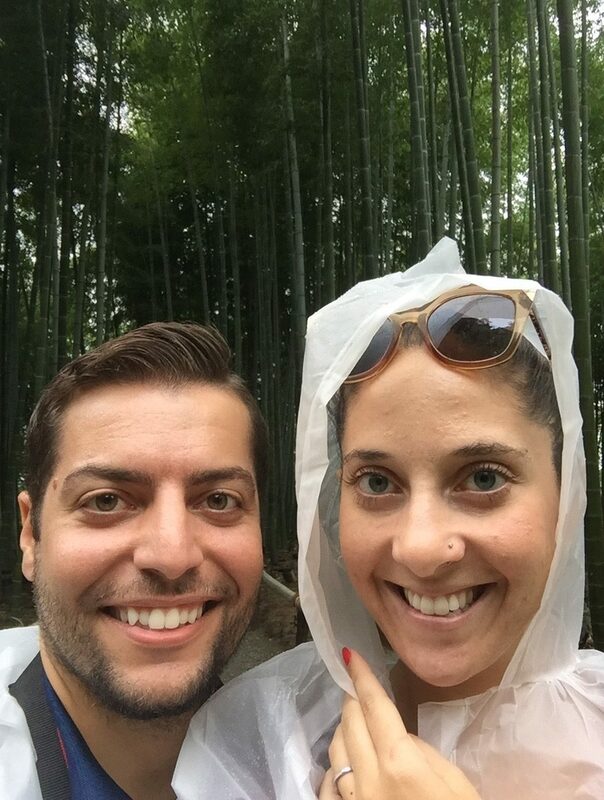 Many locals dress in traditional clothes, including this lovely couple strolling through the bamboo forest. 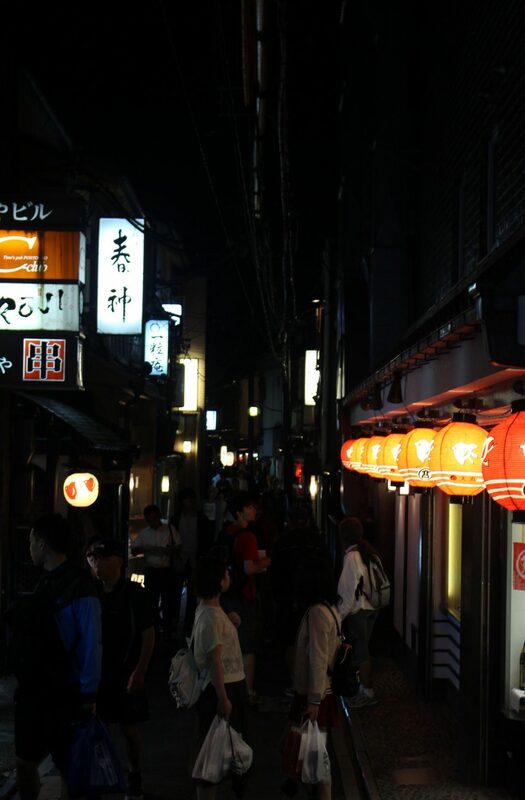 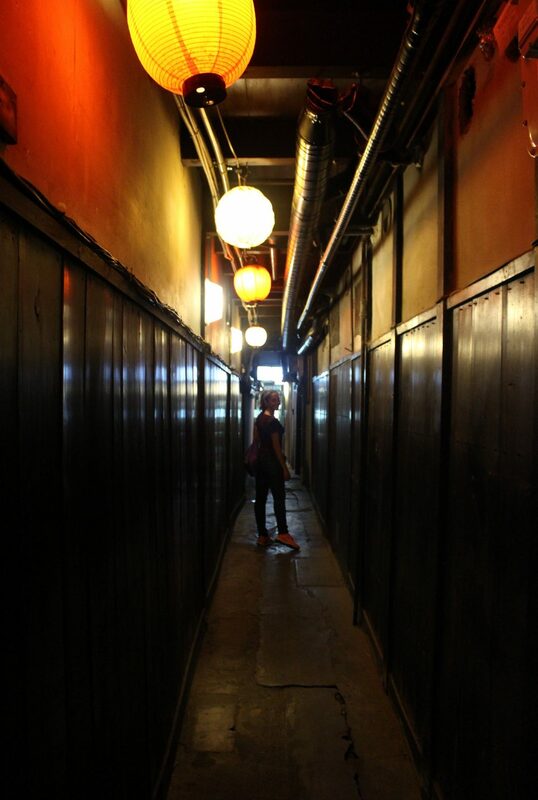 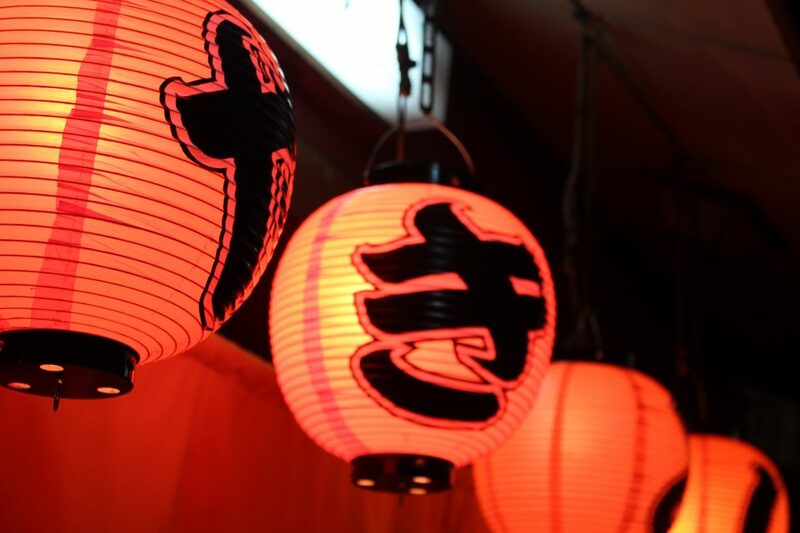 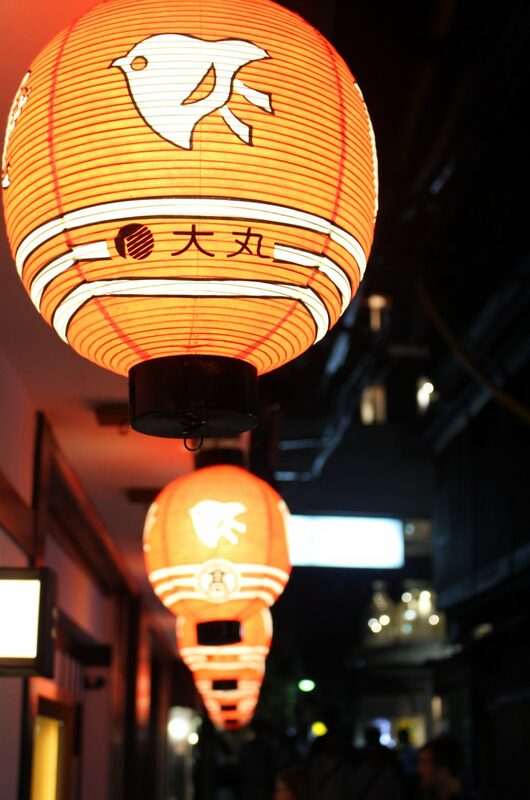 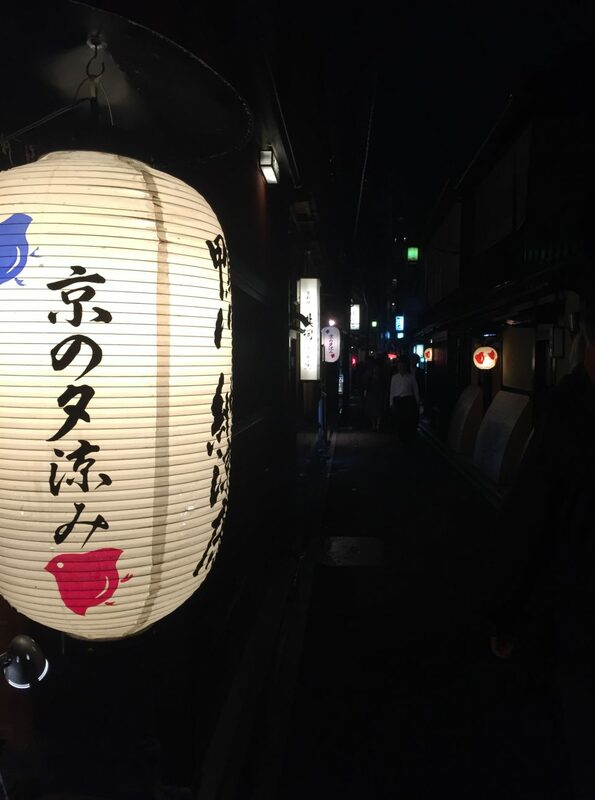 After a beautifully misty day of sightseeing, we check out the narrow streets of Ponte-cho, lanterns restaurants and bars as far as the eye can see down its corridors.